Hello my friends, once again the universe seems to be tapping me on the shoulder and saying, hey Rev, how about talking a little bit about human kindness. When the universe calls it is usually best to listen. So tonight I thought I’d take a little tour around some sites and resources related to human kindness, the one featuring the Russian dash cams is particularly wonderful. I also tonight want to talk about my friend Ozzy. First, a link to a page showing images from Russian dash cams. In case you didn’t know many Russians have installed dash cams for security and insurance purposes on their cars. Usually the videos you get to see are stupid acts, funny acts or even the big meteor awhile back. However this video uses dash cam footage to show acts of Human Kindness in Russia, it’s compelling and touching beyond belief to see these simple acts, and apparently it’s absolute hell trying to cross the road in that country. Second, one of my friend Ozzy’s favorites, Burners without Borders, I was present when this group sprung into existence at Burning Man in order to help the victims of Hurricane Katrina, but this group has become soooo much more than that. Couldn’t possibly do this without mentioning something called the Human Kindness Foundation. A group that reaches out through spirituality to help people in prison. The site Hello Human Kindness is an advertising hook for a corporation called Dignity Health, ordinarily I would direct you to a corporate entity like this one but there is some nice stuff on the site to make you feel a bit better about our species. 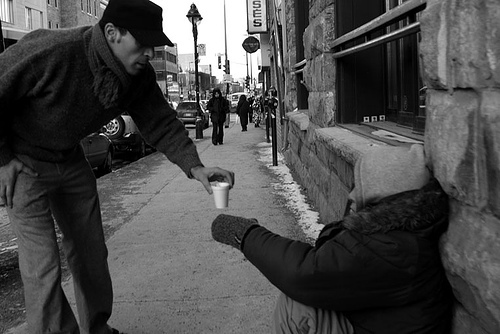 A piece on the personal effects of acts of human kindness. This entry was posted in personal happiness and tagged charity, dash cam, giving, happiness, human kindness, kindness, russia, spirituality. Bookmark the permalink.